Rust and Metro live life to the fullest in the small Finnish city of Kotka. The lovers work together by day and write graffiti by night, always staying one step ahead of the law. But their luck runs out after an ambush by rogue security guards causes Rust to fall to his death. Up against lies, betrayal, and corruption, Metro musters the strength and inspiration to persevere in the name of truth and by adding beauty to an ugly world. After losing her boyfriend and partner in crime, Rust, during a tragic run-in with security, Metro moves to Berlin to start over. She finds a home in a grimy squat where she befriends other graffiti artists, and together they carry out aggressive attacks, bombing entire trains and buildings with fresh paint and achieving international notoriety by posting their hits online. The Girl and the Rat out 17th May 2016! The thrilling sequel to the Girl and the Bomb is out 17th May 2016! Adorning the attic of their squat is a wall-size piece by world-famous tagger Banksy depicting a silhouetted rat spraying a wall. It’s a hidden treasure amid the squalor. But when Metro comes home one day to find bodies—including one familiar face from her past—scattered around the building and the amazing mural missing entirely, she and her friends are forced into action. The piece turns up at auction for millions of dollars, and Metro must follow it to its new home in Kotka, Finland, a town she thought she had left behind for good. Up against the law and on the run from her personal demons, Metro has no choice but to seek justice with the only means she has: graffiti. Rust and Metro live life to the fullest in the small Finnish city of Kotka. The lovers work together by day and write graffiti by night, always staying one step ahead of the law. But their luck runs out after an ambush by rogue security guards causes Rust to fall to his death. Having literally left their marks all over the city, Metro cannot help but be reminded of Rust everywhere she goes, making it impossible for her to move past the tragedy. Heartbroken and alone, she becomes determined to get to the bottom of her partner’s death and to exact revenge on those responsible by using the tool she knows best: spray paint. As she fights to bomb the system, she is constantly—and harshly—reminded of how unfair life can be. Up against lies, betrayal, and corruption, Metro musters the strength and inspiration to persevere in the name of truth and by adding beauty to an ugly world. 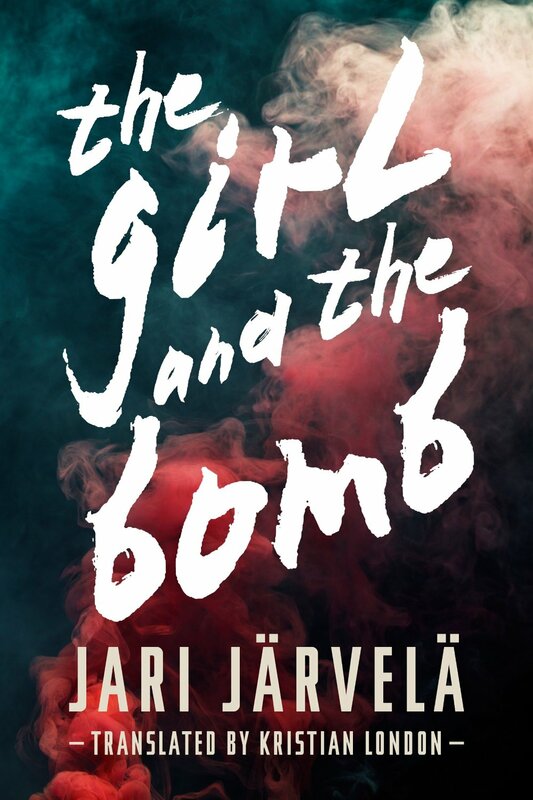 The German edition of The Girl and the Bomb was published August 2016. The title of the thriller in German is “Weiss für Wut” (White for Rage). The second book of the trilogy will be published under the title “Rot für Rache” (Red for Revenge). The publishing rights of The Girl and the Bomb are sold to the Portuguese publisher Presenca. It has published crime stories from Patricia Cornwell, Henning Mankell and James Ellroy, for example. I am proud to share their company with my graffiti thriller! The Girl and the Bomb is out in the US and UK! It’s the official Metro day today on October 1st. The English edition of The Girl and the Bomb is officially out in the US and UK and Australia and all over the English-speaking globe! The novel was published to the Kindle First readers in UK for one month ago to a grand start. In the category “Scandinavian crime fiction” The Girl and the Bomb reached TOP 2 in September. English translation is by Kristian London. 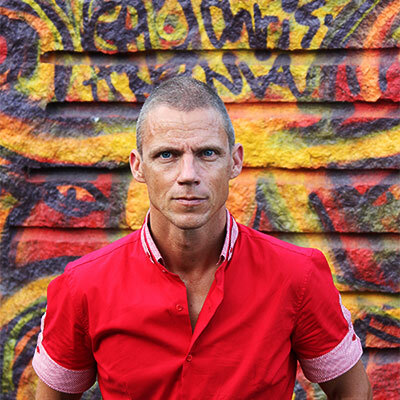 Jari Järvelä (born 1966) originally became a teacher but has worked as a full time author for almost 20 years now. Järvelä has written 14 novels, three plays, eight radio plays and two librettos for the opera. 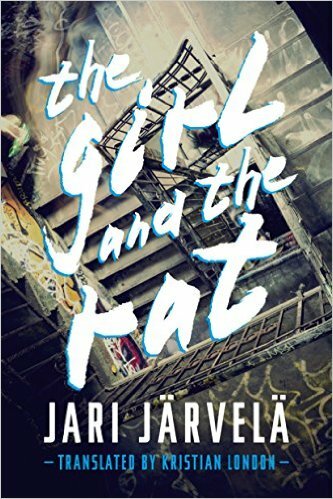 Two of Järvelä’s novels have been nominated for the Finlandia Prize. He received the Finnish State Prize for Literature in 2007 for his novel trilogy The Weight of Water, Little Heaven and The National Landscape. His novel Romeo and Juliet was shortlisted for the Nordic Council Literature Prize 2009.